NEW PRICE!! 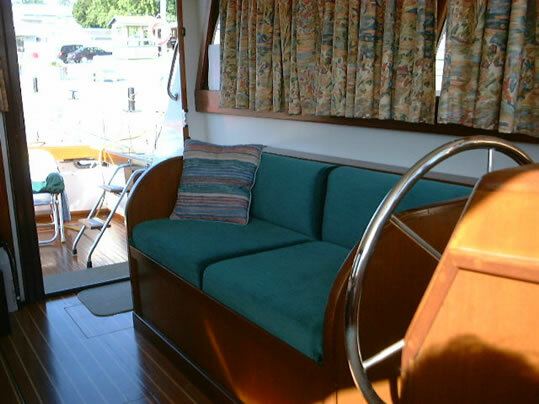 If you have ever wanted to own an exceptional, fully restored wooden boat, that will turn heads where ever you go and will out perform most vessels her length, you MUST call or email me NOW!! The only reason I am selling her, is that my wife and I have not been able to use her as we origionally planned for three years now. 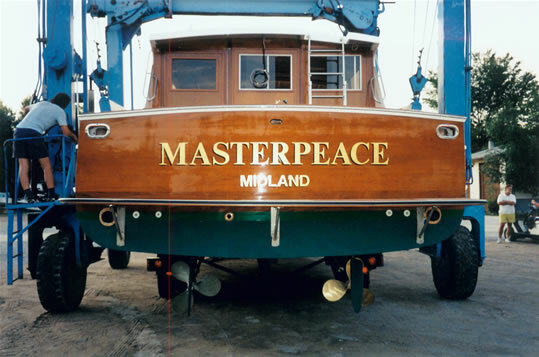 Masterpeace is a very exceptional vessel that has been professionally restored. 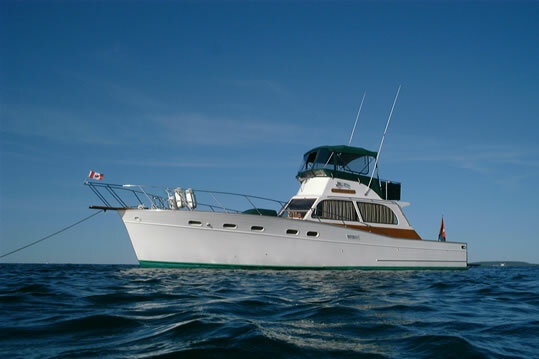 She has beautiful, classic "Jersey" sportfish lines and is an incredible vessel both at sea and at dock. 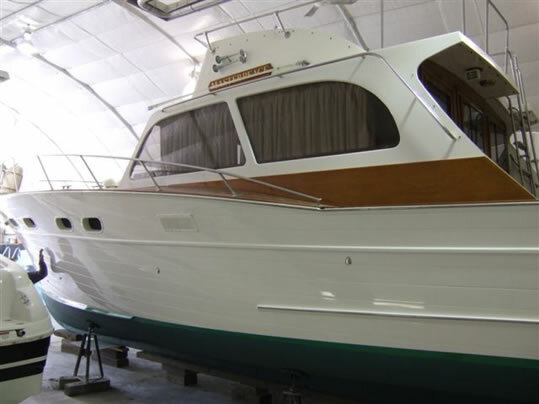 Her restoration was done under the watchfull eye and direction of one of the best craftsman in the business Bill (Billy) Bokan. Full photo documentation of the restoration process is available. 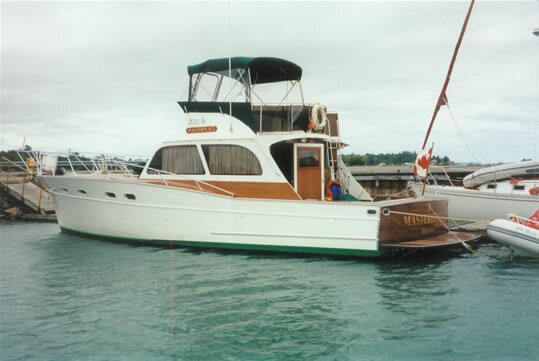 Recently she was moved indoors and underwent an extensive hull, superstructure and deck sanding and repainting at a cost of over $20,000. Based on her current condition, the electronics and equipment package, she is an exceptional buy. To provide you a little taste of her on water "Jersey Design" performance capability please check out the following youtube video link. 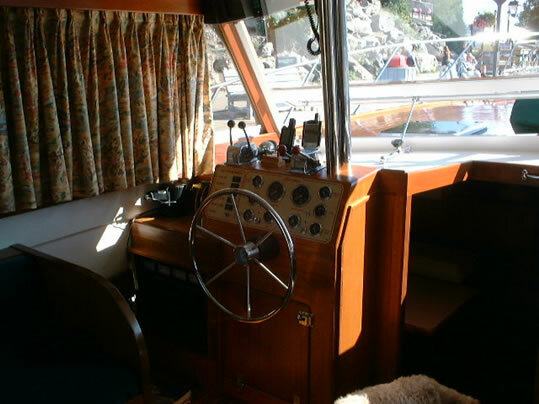 http://www.youtube.com/watch?v=0oeiFiXxXAA In the eight years I have owned her I truthfully have not see anything in the Lake Simcoe, Georgian Bay area (in wood) that comes close to her looks and on water performance capabilities. I have babied her since I purchased her in 2001 and promise you that she is everything I say she is! !